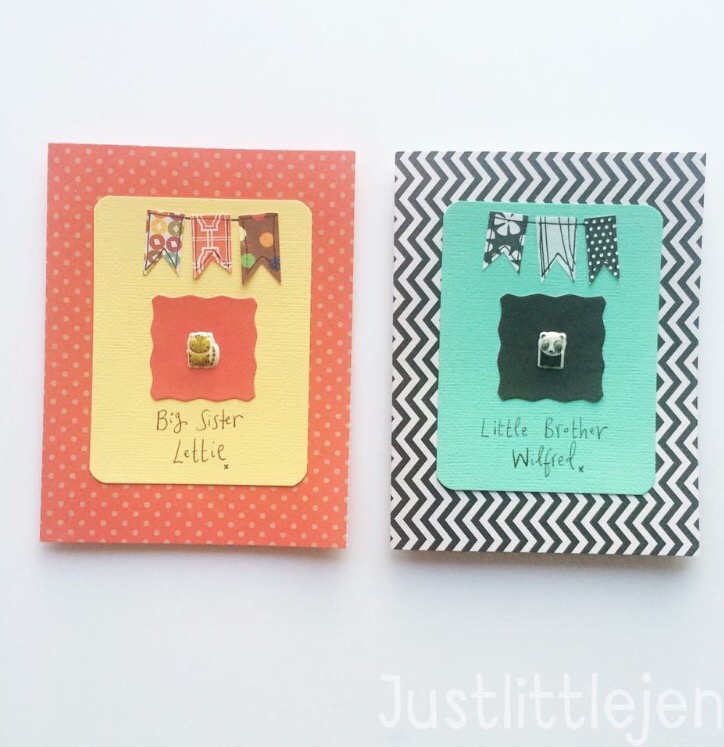 Justlittlejen – Contemporary Textiles, art, cards and jewellery. Contemporary Textiles, art, cards and jewellery. Hello! 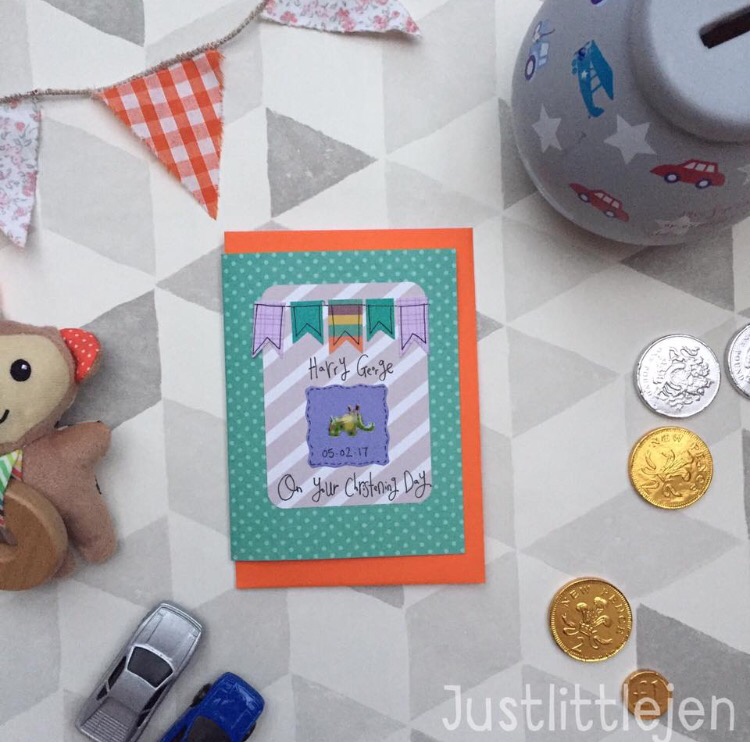 I’ve enjoyed a little break but now I’m back with a brand spanking new tutorial for you. My newest series of “Serendipity” Wall Art pieces have hit my Etsy shop, and I’ve had lots of enquiries about this bobble/popcorn stitch. So I’m trialling my first ever tutorial here, please wish me luck! 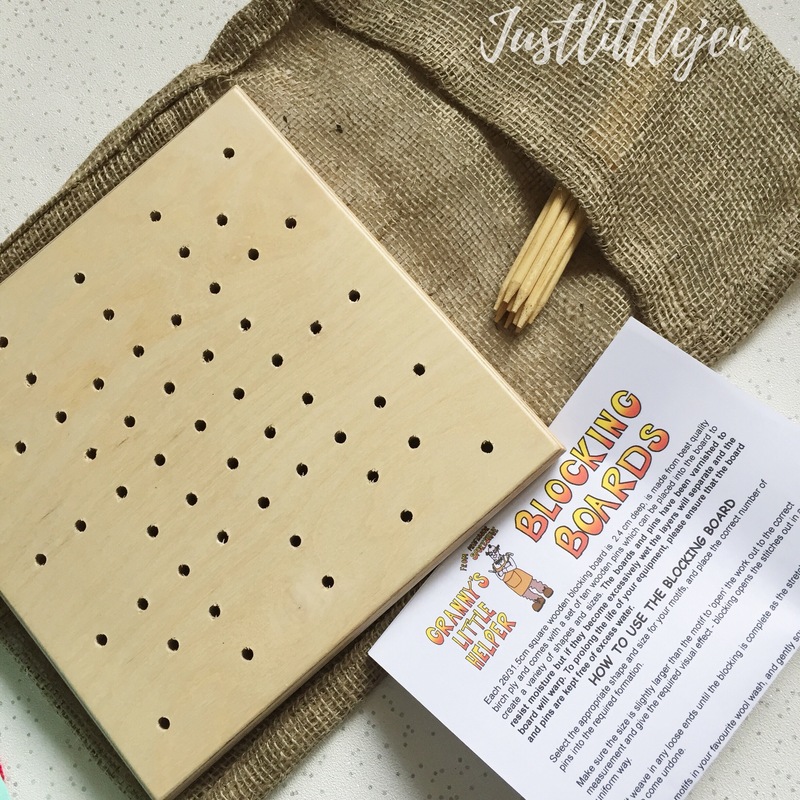 For a basic Popcorn Stitch Eleonora at Coastal Crochet has a fantastic video tutorial here as part of her Seaside stash busting blanket (you can find my cardigan based on her amazing pattern) I’d highly recommend watching her video of an excellent and clear guide to the popcorn stitch! 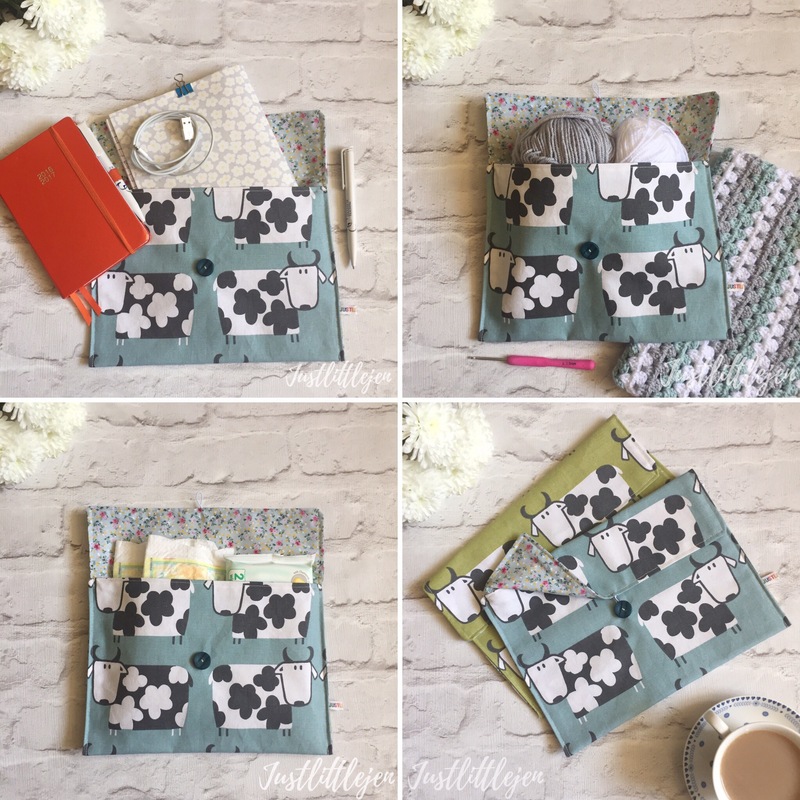 For this Sampler Tutorial you will need. * Size 4 crochet hook. 1.Take Y1 and make a slip knot. 3. One Treble in the third loop from the hook. 5. Chain two and turn your work. 6. One treble in the third loop from the hook. 7. Tie contrast yarn into the top of next stitch loop. 8. Use Y2 to continue (carry Y1 and catch in behind your work) and make 4 trebles in the same next stitch. 10. Change/substitute Your working yarn back to Y1 and make three trebles in the next three stitches. 12. For this sample Continue the pattern twice more. [4 popcorns on this row]Once you’ve reached the end of the row, chain two and turn your work. 13. Now we are working on the reverse side. To offset the popcorns we will do four trebles in the first four stitches. 14. Now make a popcorn stitch [but for the end of the popcorn you will insert your hook from the front of the work! Again – pop to see Coastal Crochets video tutorial to see what I mean] – when you look at the front side, hopefully the popcorn will sit beautifully in between those on the previous row. 15. Switch to Y1 and Continue with 3 trebles, repeat step 14 for popcorn stitch and repeat series again. You should have three popcorns on this row. 16. If you wish to add another popcorn colour, simply switch Y2 when needed and continue with Y1 to keep the background colour. Thanks for reading, I hope you have as much fun with this beautiful stitch as I do! Please tag me in your posts or use #jljcontrastpopcorn and I can see your creations! After a pretty dark spell, we welcomed a beautiful rainbow baby into our family on 09.02.2018. It’s a horribly dark, isolating, confusing and lonely time after losing a baby. The thought of trying again is quite frankly terrifying. After an ectopic pregnancy, life saving surgery and very difficult feelings to try and make sense of, we needed this bright little star. He is perfect and makes us so very happy. I’ve been in the midst of printing off lovely wedding invites, which makes for some fun conveyor belt making 🙂 It’s rather relaxing to get into the swing of things when my little “helper” is happily off at playgroup. Hopefully, I’ll have some sneak peeks I can share soon! 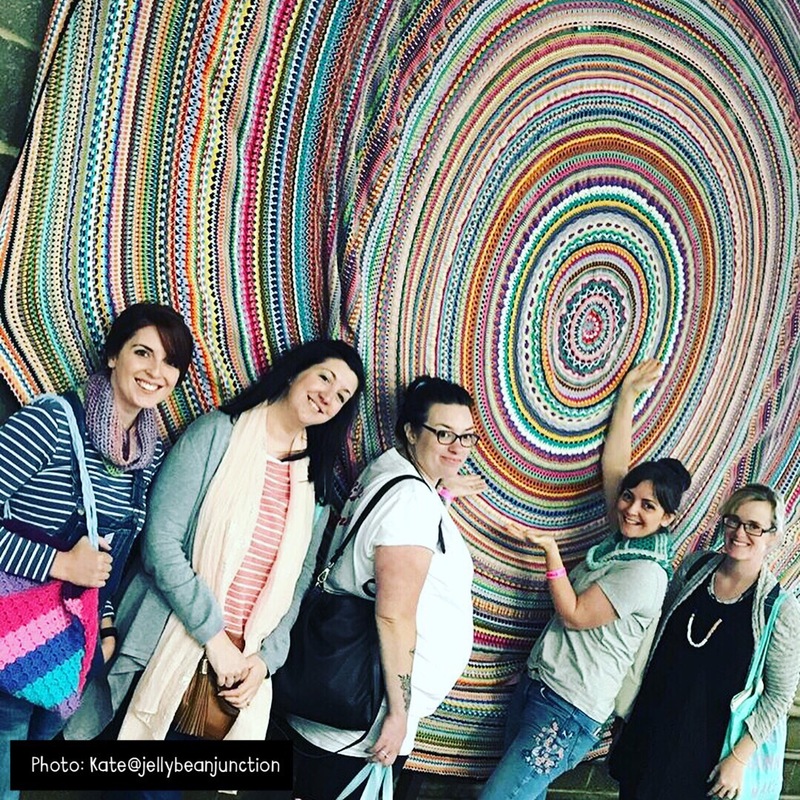 In September, I travelled up to Yorkshire with my fab, real life friend Lindsey from Lottie and albert, and we stayed for a lovely weekend with new Instagram friends Kate from Jellybean Junction, Clare from Colour and Crochet, Kate from LanaBou, Charli from Candidly Rhubarb. 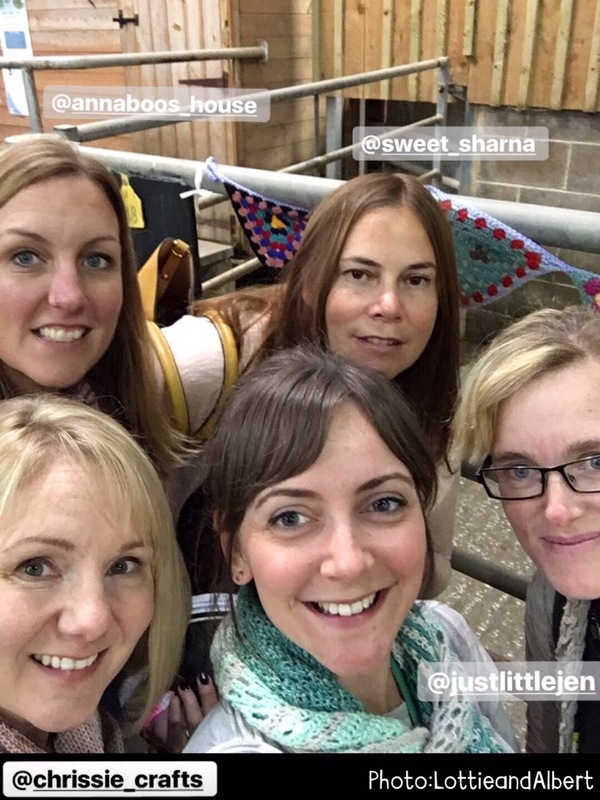 We stayed up in Grassington at this amazing Air B and B which belongs to Sian from The helpful Mum. 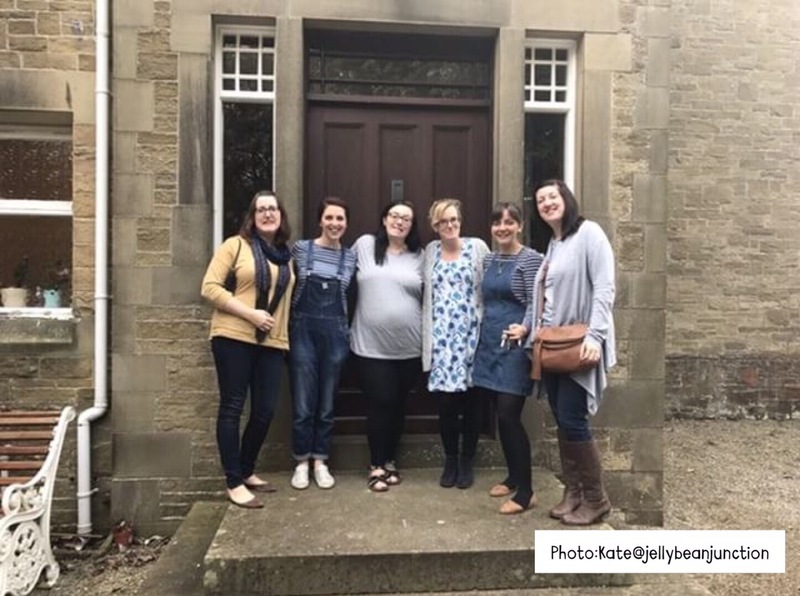 Having experienced acute Social Anxiety in the Past, I couldn’t quite believe that I’d not only agreed and booked (thanks to the amazingly organised kate Jellybean!) but actually made it up there! (That’s to my road trip buddy Lindsey.) 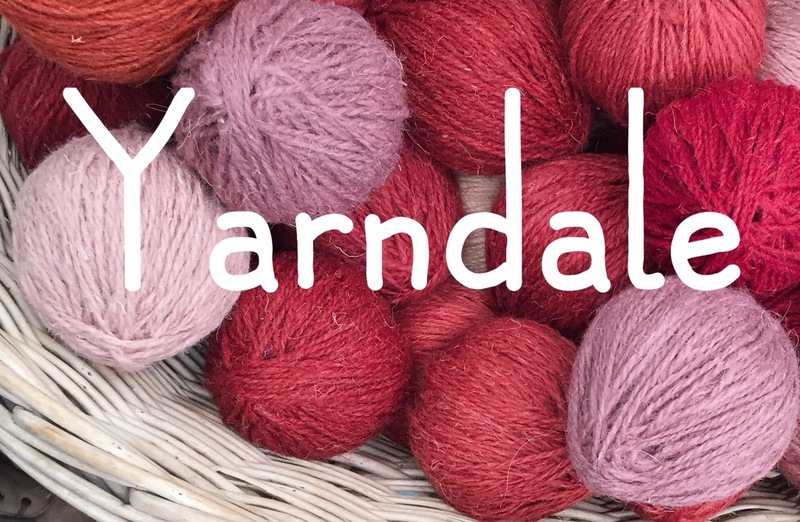 We had a really lovely time, crocheting the evenings away and exploring Yarndale all day on the Saturday. As a relative crochet newbie, I really appreciated all the advice and inspiring Instagram recommendations to follow! 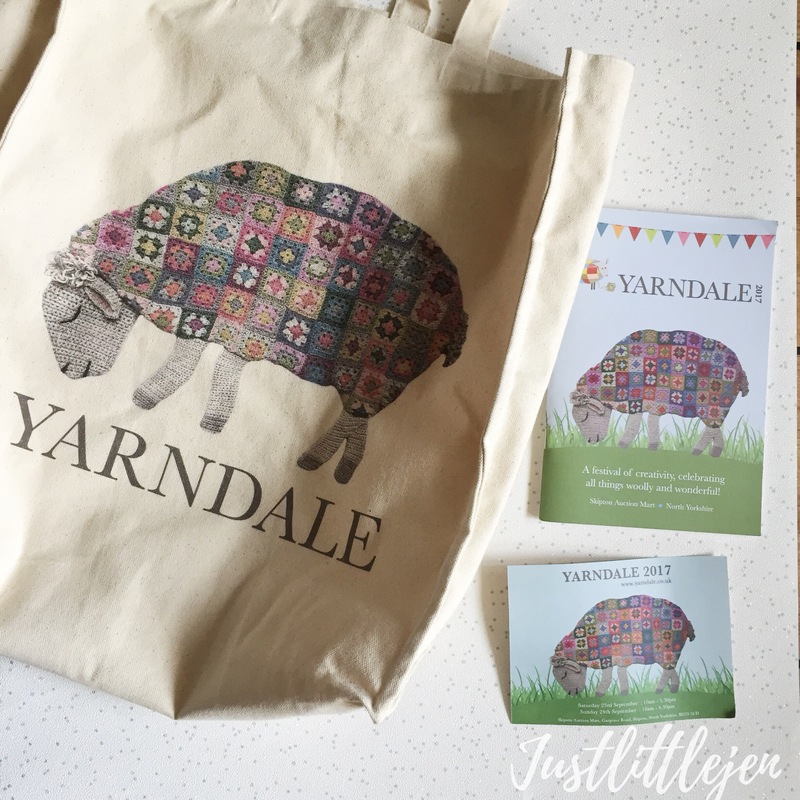 Yarndale 2017 was a great weekend away. The yarn/wool festival itself was held in an active cattle auction, which had been cleared for all sorts of wooly goodness. Each of the stall holders was charmingly in a real pen, with their gorgeous wares out for perusal. I must admit, I was pretty overwhelmed to begin with. 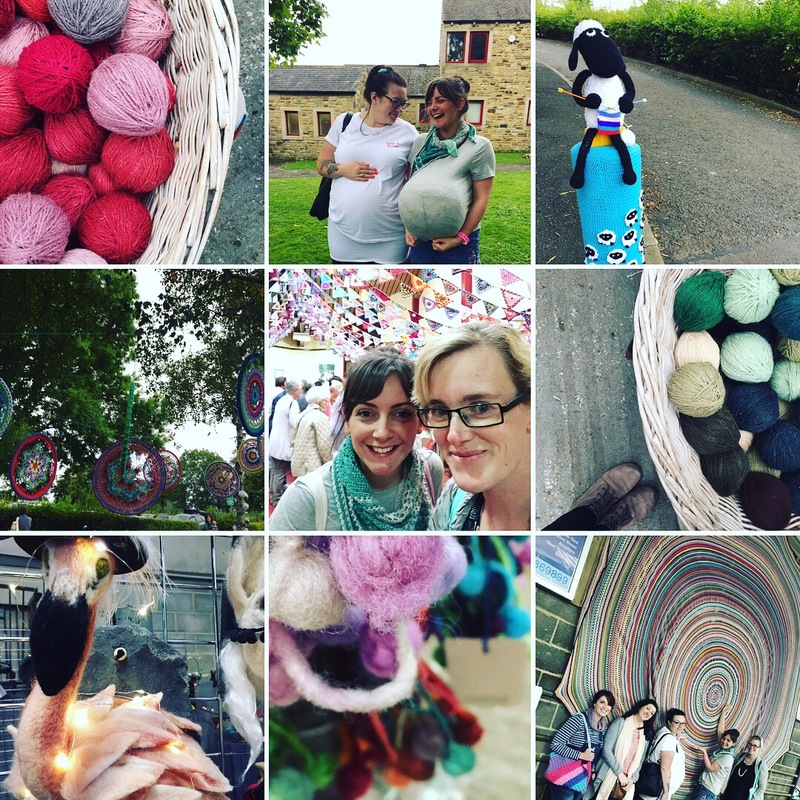 The variety of coloured yarns, the busyness and the bustling was truly impressive! Before we had even set off, we were given a very special present. 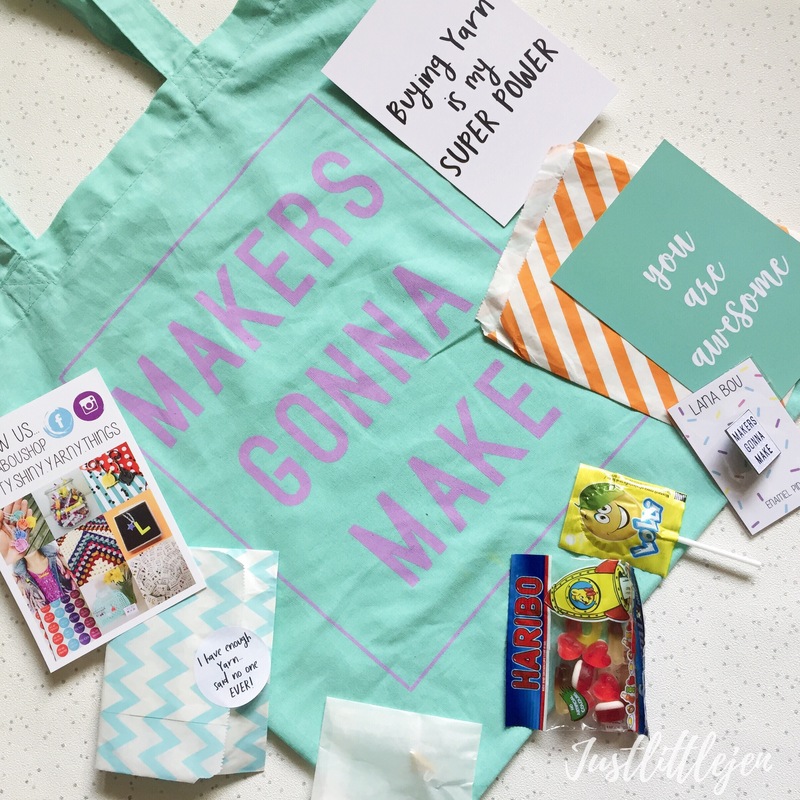 This was my gorgeous goodie bag from the amazing Kate (lanaBou) complete with lovely postcards, stitch markers, a pin badge, and sweets for energy! All of which proved ever so useful, so Thank you Kate. Whilst all of my friends were chattering to the lovely ladies on the stands, I shyly sidled up to a table where this fabulousness was happening! 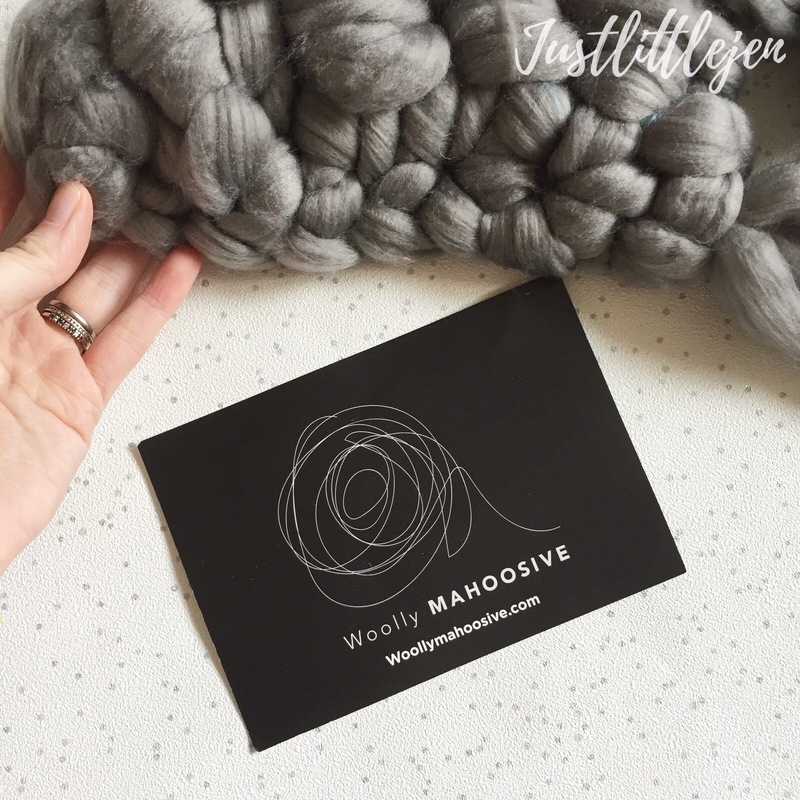 I got to try out this supersize yarn from Wooly Mahoosive with a huge 30 size crochet hook, which is something I’ve been desperate to try! I think it could be rather addictive, but I was grateful for the experience to try it out myself. Thank you for your patience in teaching me, Sharna! 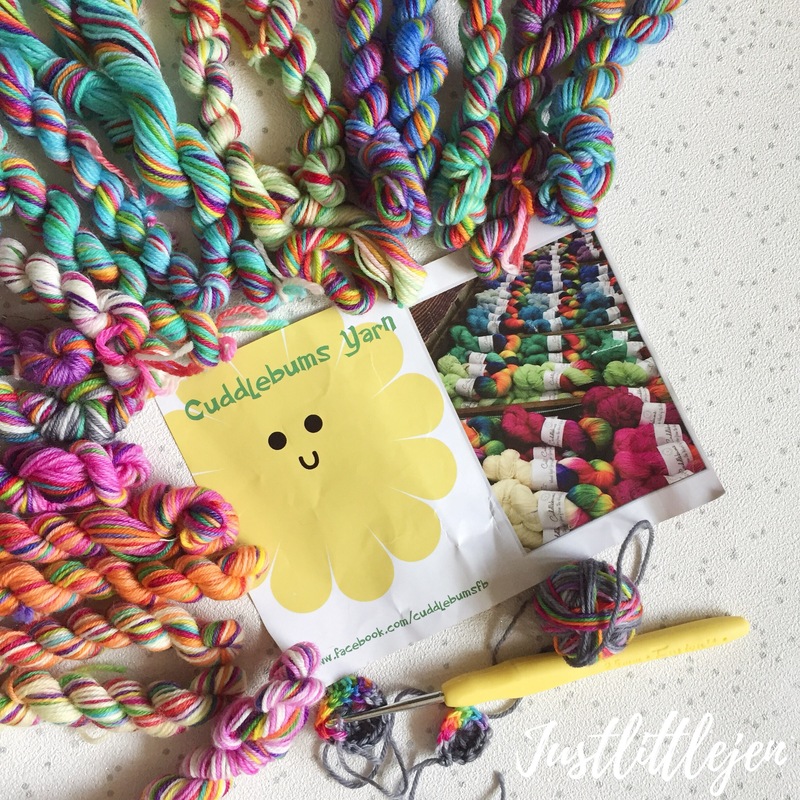 These are My rainbow mini 5g skiens from cuddlebums yarn that literally made me squeal out loud. I have had so many friends cuddle these! My original plan has not quite worked for these, however I’m looking out for ideas for what to with them. I love them! 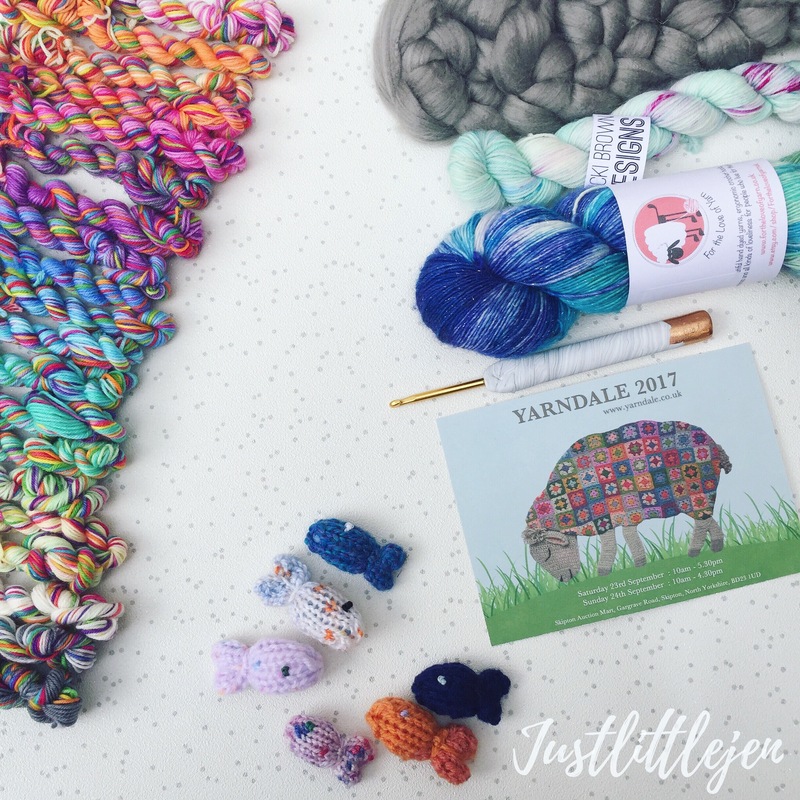 This was the first time I had seen such an array of indie, hand dyed yarn. 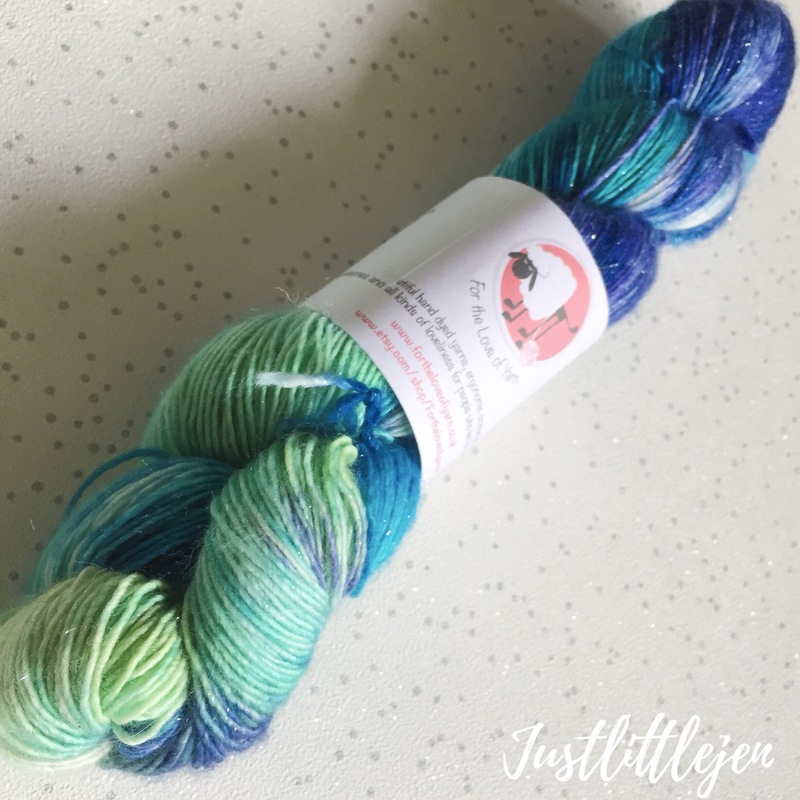 Within the first five minutes I had truly fallen in love with this beauty by from the love of yarn, and for the next hour or so, I was definately wandering around with Buyers’ remorse! I couldn’t stop thinking about the lovely sparkly, deep rich ocean palette… I have a plan to make it into a shawl, once I can follow a pattern. I’ll know I’ve made it then! 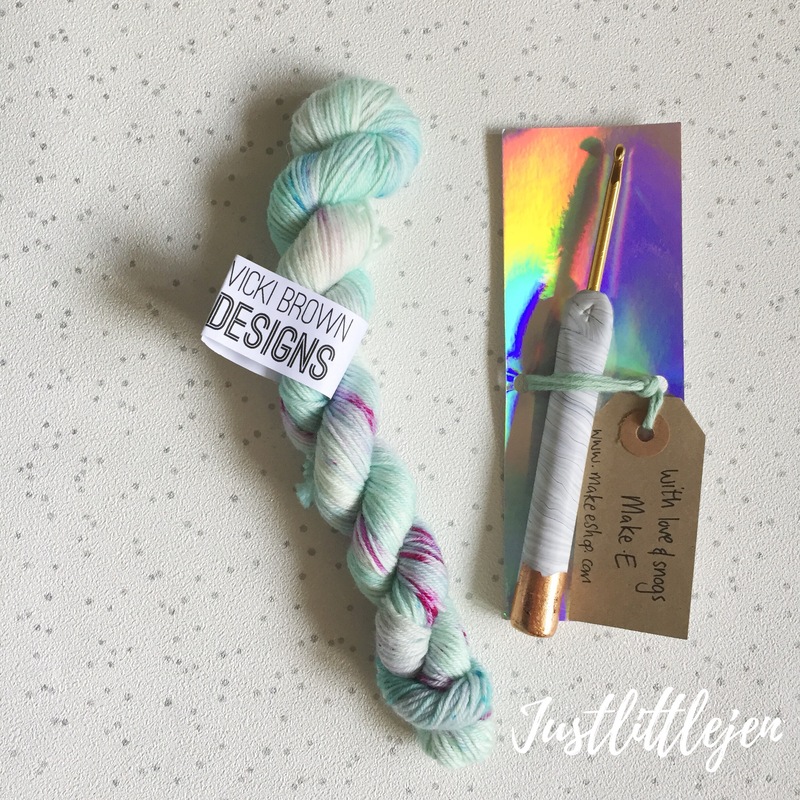 This lovely Vix brown yarn (who is from our part of the world!) was beautiful. I spent a lot of time at her stall with agonising indecision about selecting the right colour- in the end I went with this one! She was also selling these lovely hooks from make.e, which I’ve had my eye on for a long time. I can safely say, it’s become one of my favourites to work with! As I’m in the middle of a granny blanket, I knew this lovely little Blocking Board would come in handy! I had a really fab time away, and it just shows that leaving your comfort zone can be exciting and so worth it! It’s been a busy few weeks up in my studio, and I hope to start blogging more regularly again, now we’re getting back into routine at home again! I’ve been sorting out and organising my space, trying to see what works where and I’m hoping to do a little studio tour soon! I’ve finished some wedding projects, cards, and recently I’ve made these “stacker” style necklaces. Every single bead is hand made and perfectly imperfect, and I rather like that. I mixed many of the colours myself to make the ombré shades work together 🙂 I only wish I could wear the pink – I think the yellow/brown autumnal one has already found it’s home with me 🙈 Do you have a favourite? 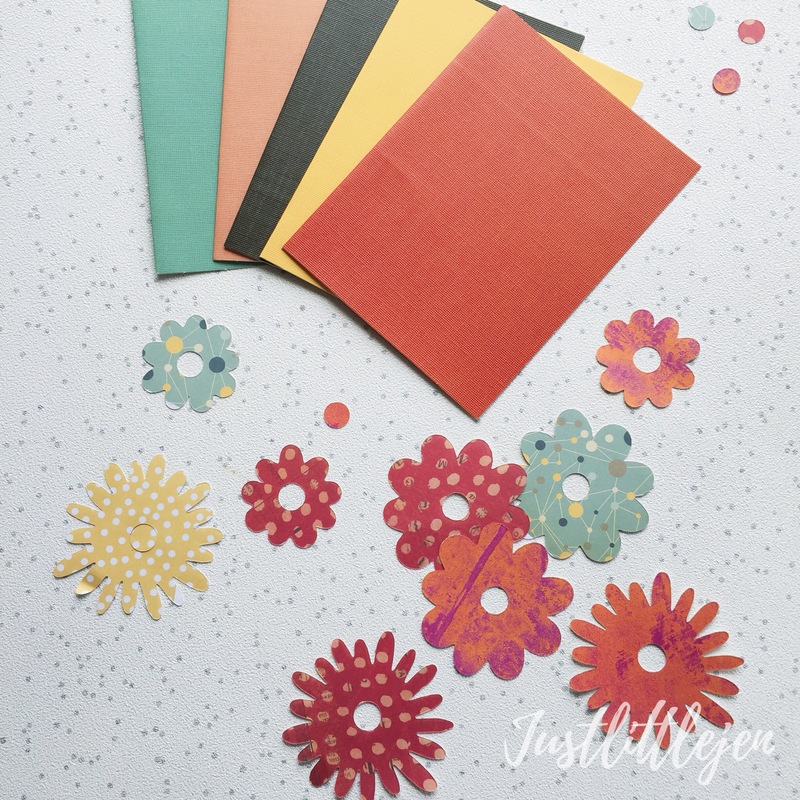 Or colour mixes for me to try? . My happy quotes have been a helpful focus during some difficult times over the past few months. I find huge comfort in words, I have always searched for wisdom from others. I’m hoping to keep all of them together in a small happy quite sketchbook. Do you find writing useful? I’m hoping to get back into it, and my art journaling too! Colour moods have always been fascinating to me, and as we move into a new season, there is a definately nip in the air, and I’m loving my trusty legging and boots combo! 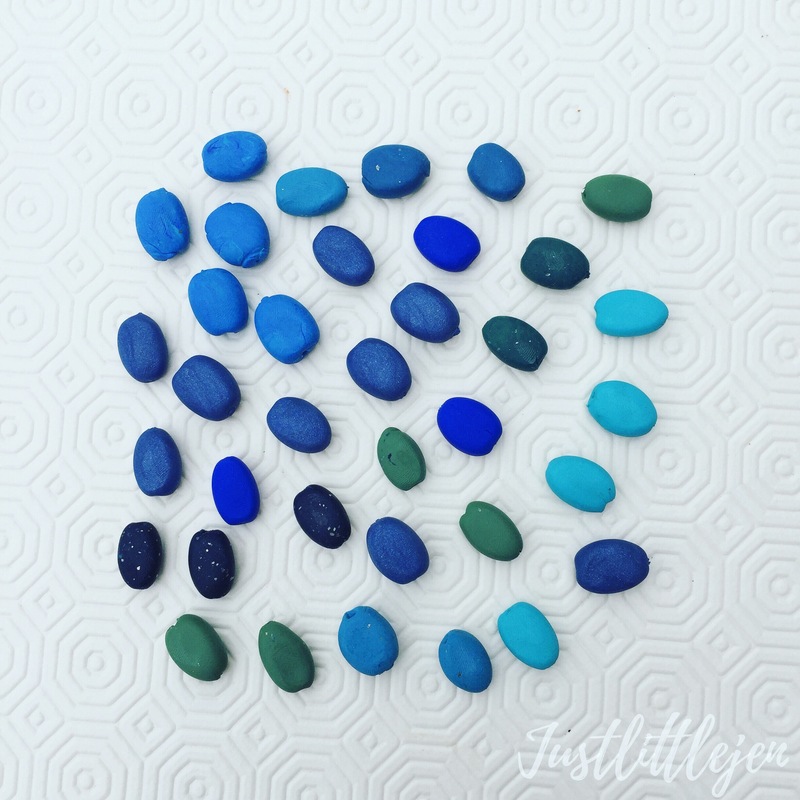 I’ve been really loving an autumnal palette recently – I love these earth tones with the teals – so pretty together! 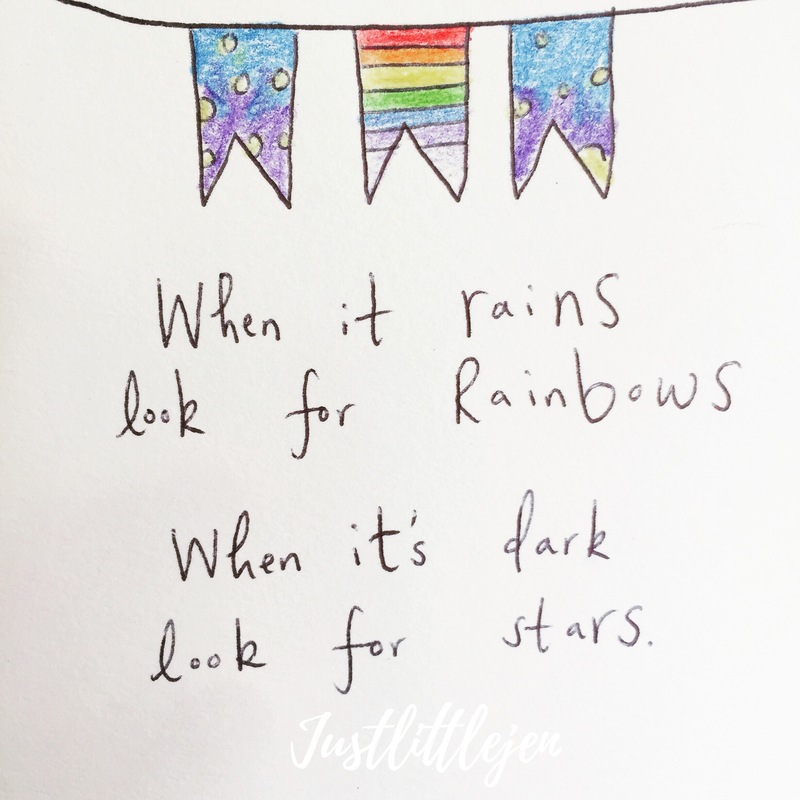 I’ve been trying to record my inspiration and when it strikes using the hashtag #jljinspireme on Instagram. I’m hoping it will be useful to reflect on, and I would love others to use it too! 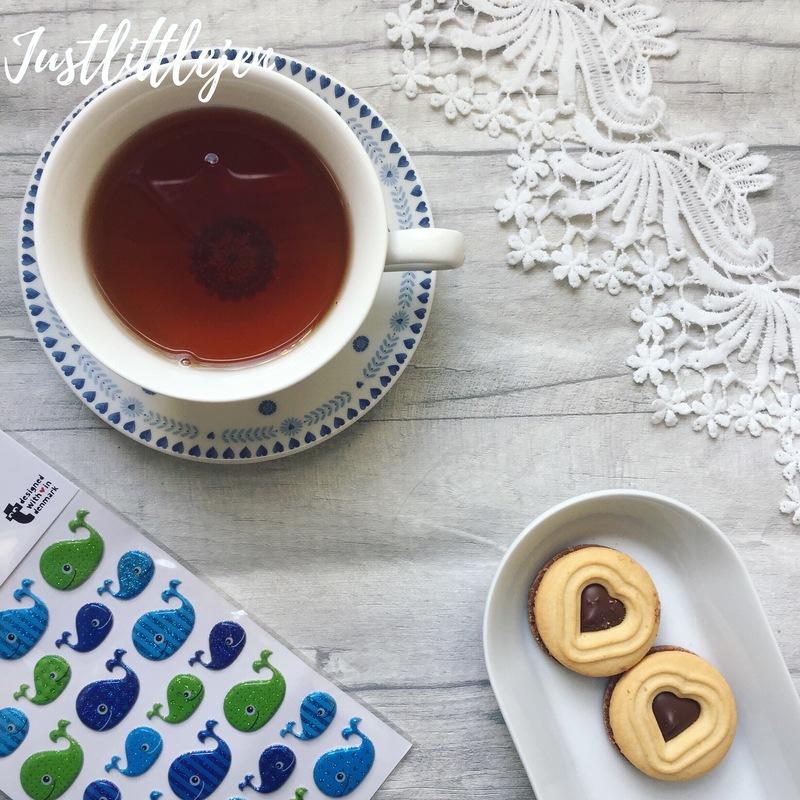 Of course the photo below is showing that I’m being inspired by lace, stickers and sweet treats! 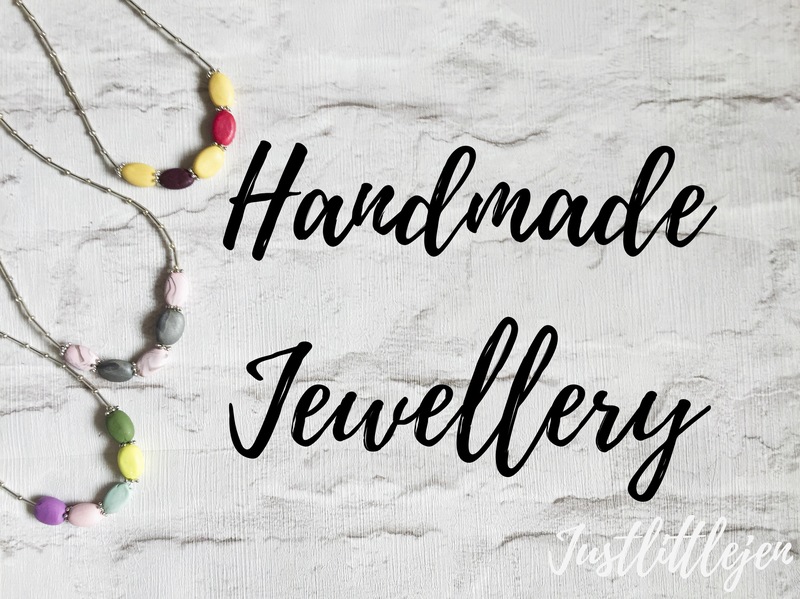 Finally, Here are some of my new jewellery designs, that I’ve made especially to compliment some of the new arrivals at Stafford Cottage in Minchinhampton. 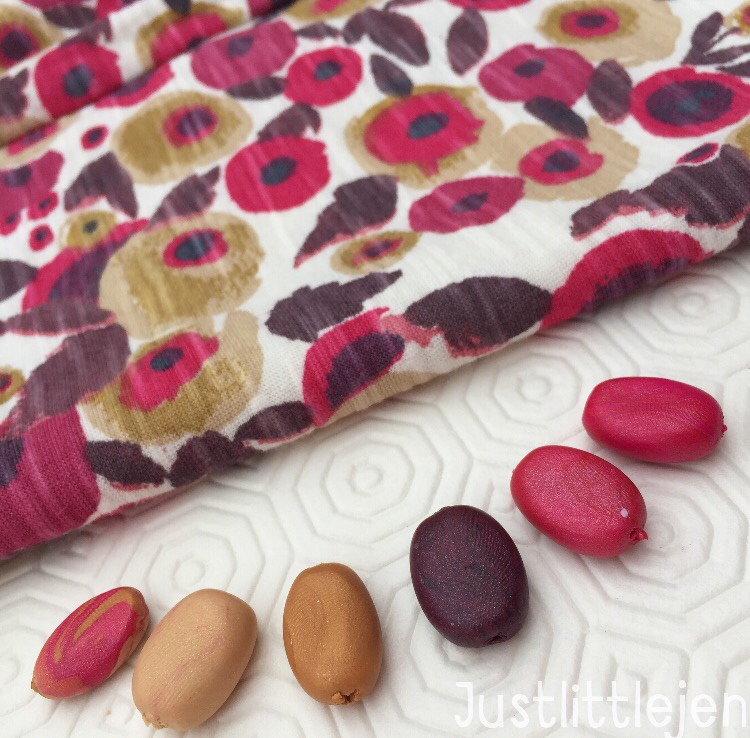 I really enjoy using the lovely prints and fabrics as inspiration. 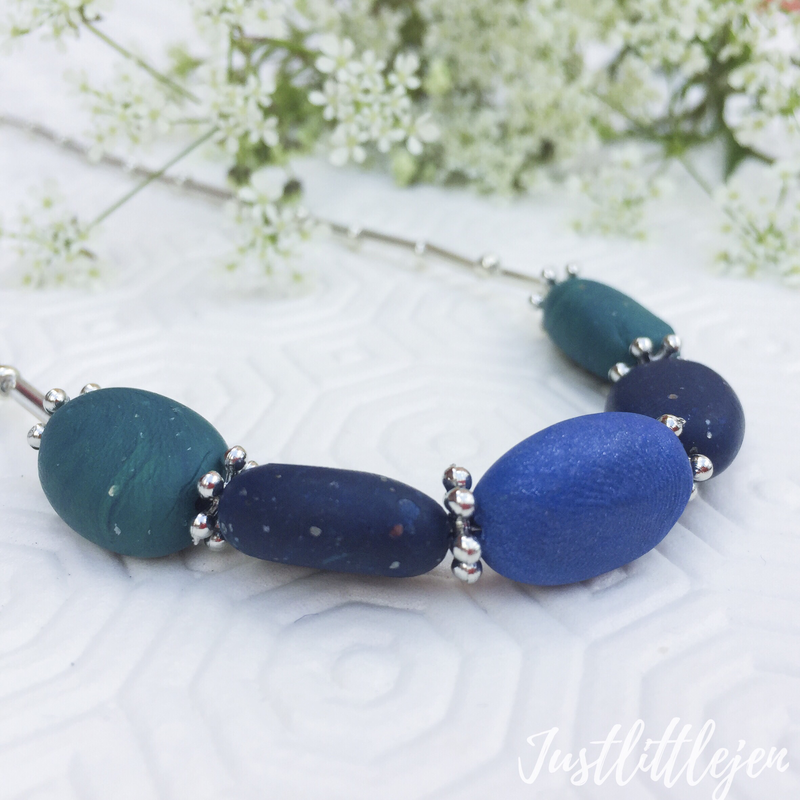 For the longest time I can remember, I absolutely love making jewellery. 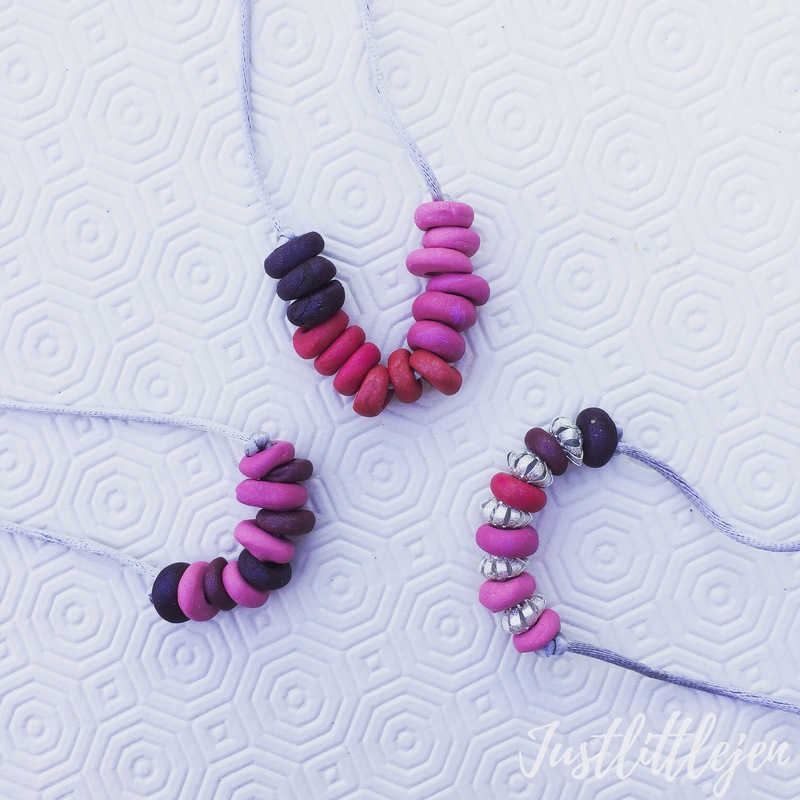 Right from making paper beads at brownies, creating button jewellery with my friends to constantly making jewellery with my mum… I adore seeing how much joy can come from creating something you can wear. 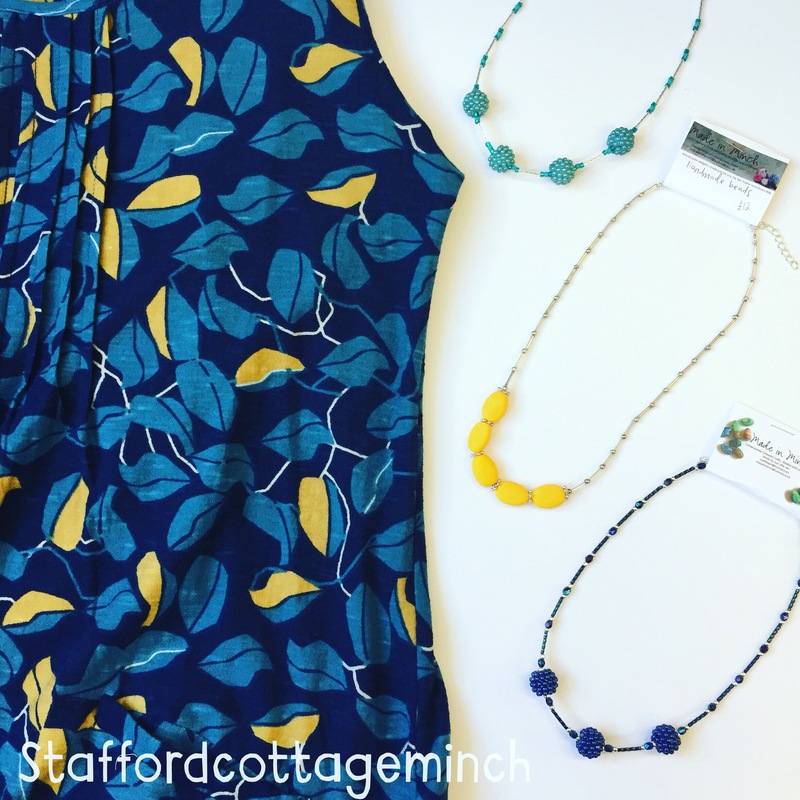 Some of my necklaces are for sale locally at Stafford Cottage in Minchinhampton or online at my etsy shop. 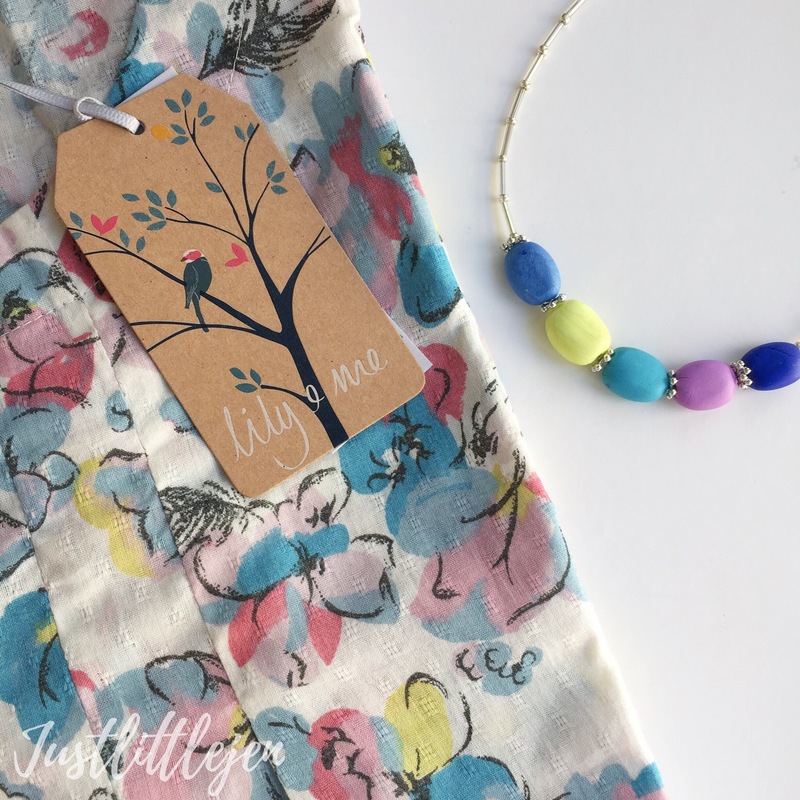 I like the freedom of mixing colours to match an exact item, like this beautiful print from @lilyandmeclothing. That spring /summer colour palette is so pretty. 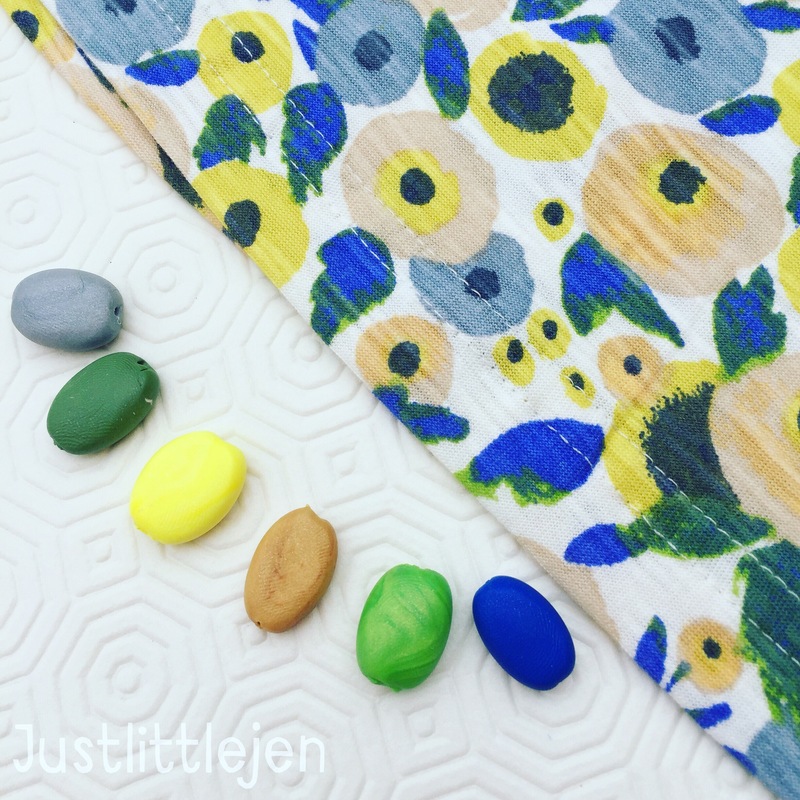 I love the pops of yellow and turquoise! And these beautiful Adini summer prints …with colours like these, it’s easy to get inspired! Hand mixing that purple was so much fun! I had blackberry stained hands for a good while! I love the subtle tone changes you can create when mixing colours yourself. There are no limits! This was a recent Commission – to match a floral print skirt for a wedding. 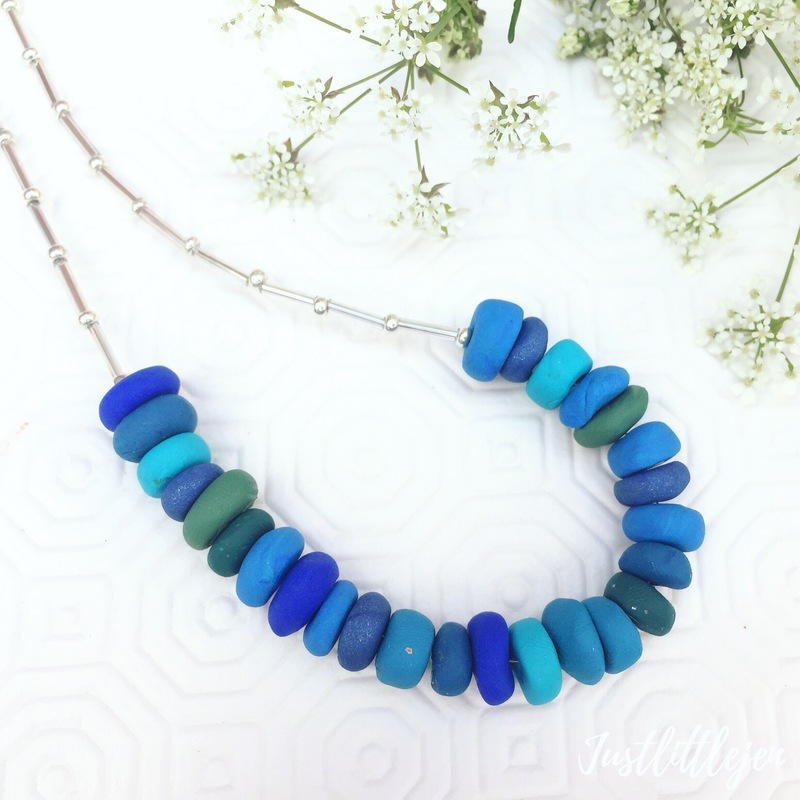 I relish the challenge of matching colours to make a bespoke piece. I’m always happy to chat through an idea – drop me an email! 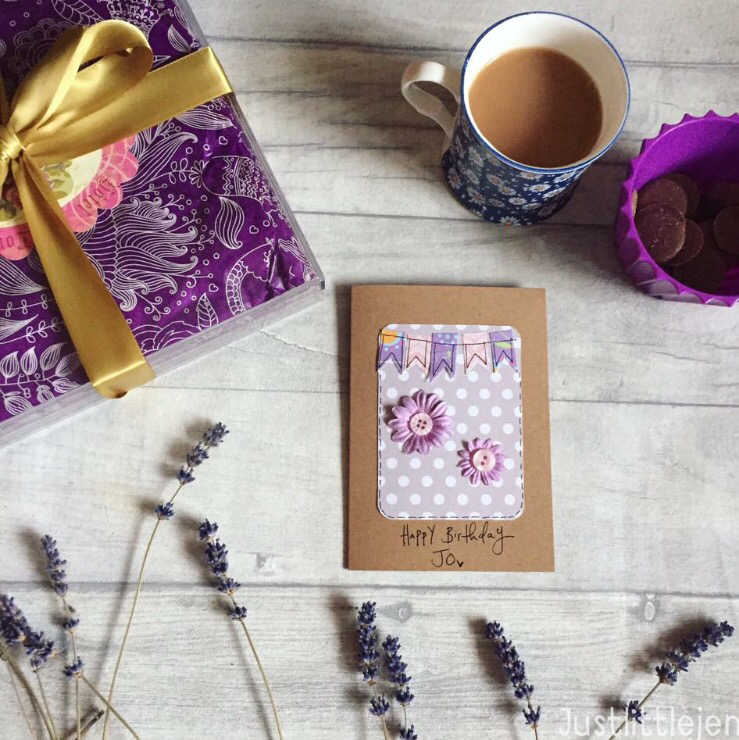 You can find my ready to ship jewellery here – I hope you have a wonderful day! 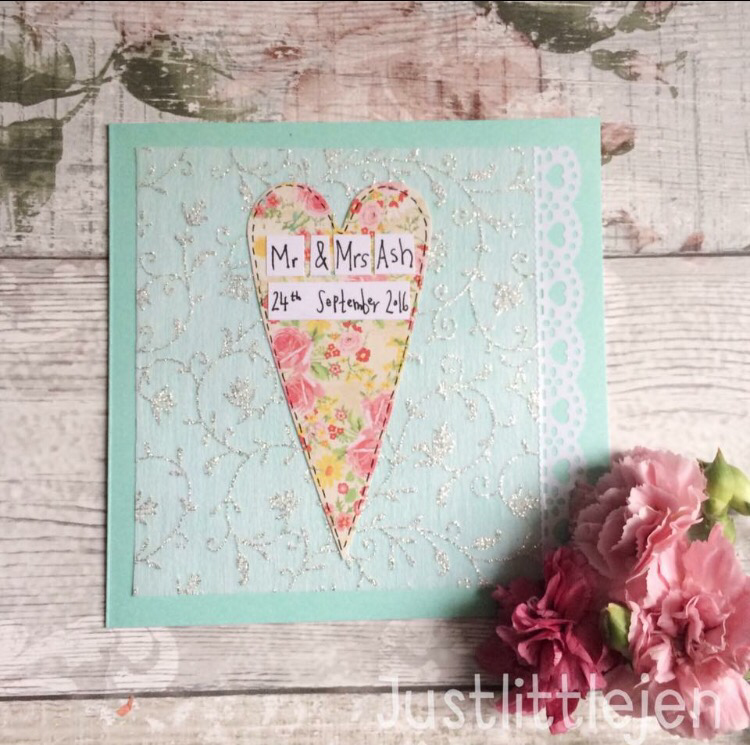 Commissioning a card can make for a truly beautiful keepsake for an extra special occasion. A New Arrival to celebrate. A new life adventure starting together. A Christening, blessing or naming day. 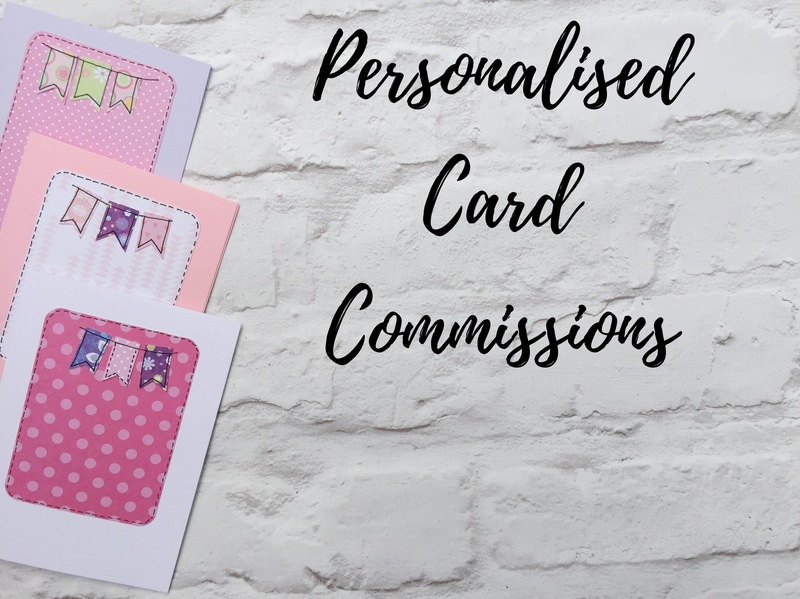 A personalised card can make these occasions even more special. 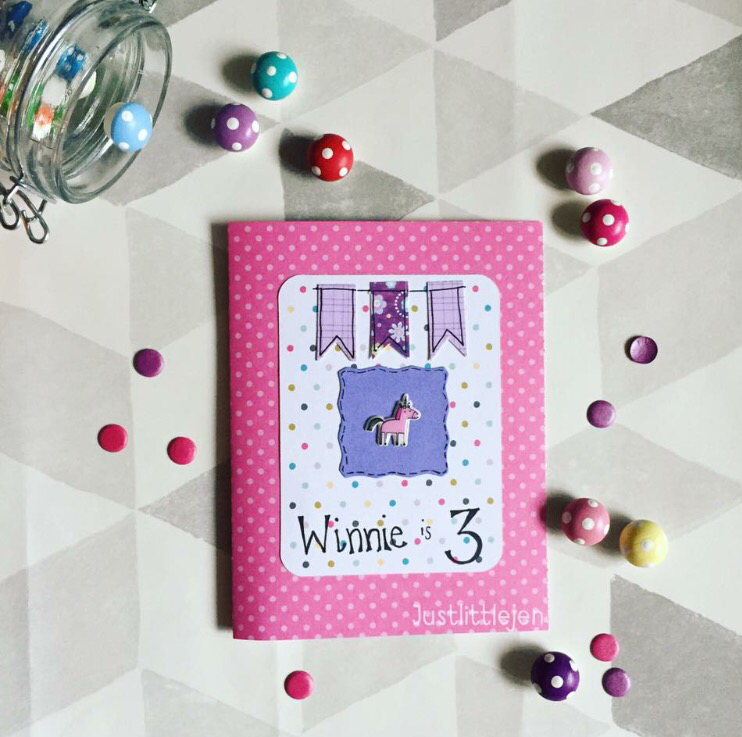 Animals, princesses, cars… almost any theme can be created to suit your requirements. 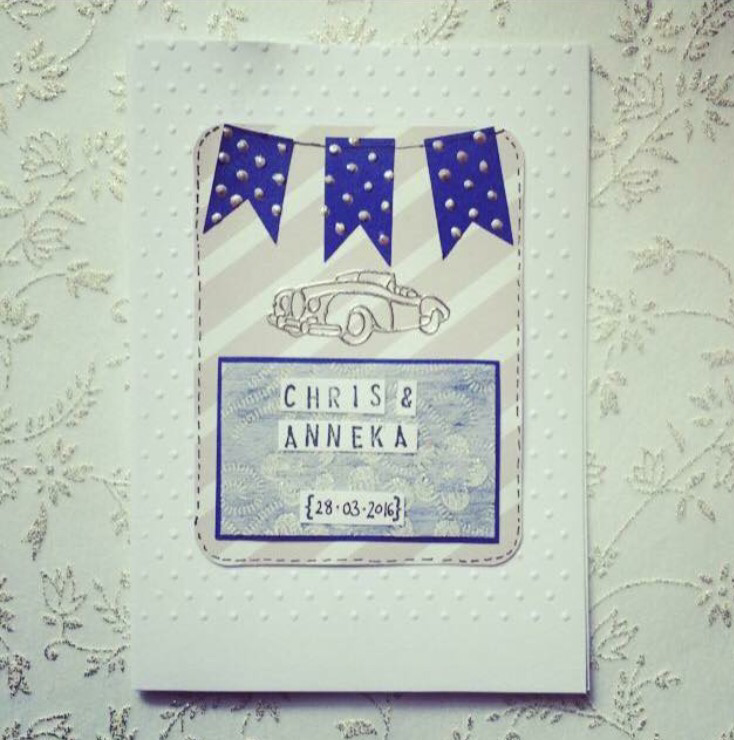 Christening Cards can be personalised with names, dates, and special messages to mark such an important day. 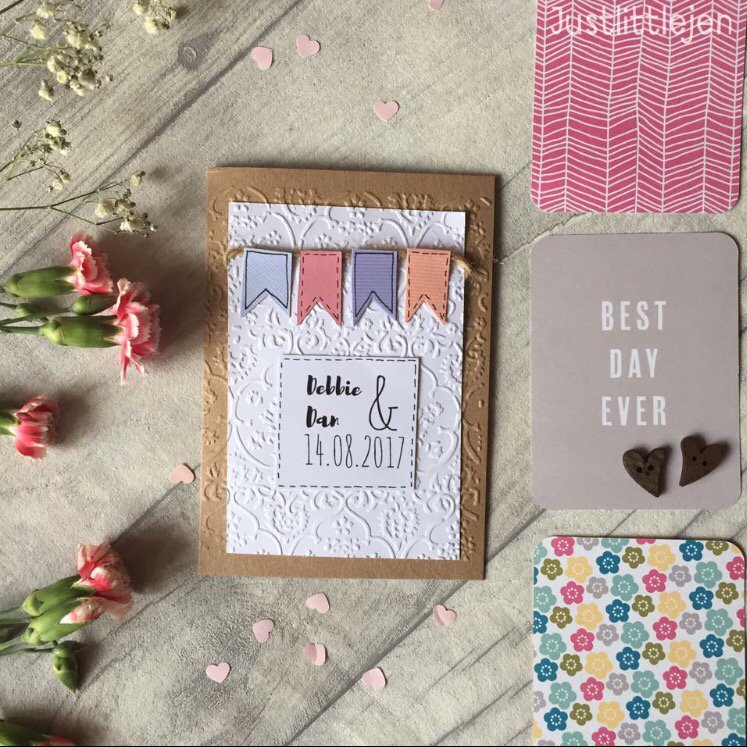 Welcome to the world cards and sibling cards celebrate a brand new arrival. I’m always happy to discuss ideas and designs. Please Contact me here. 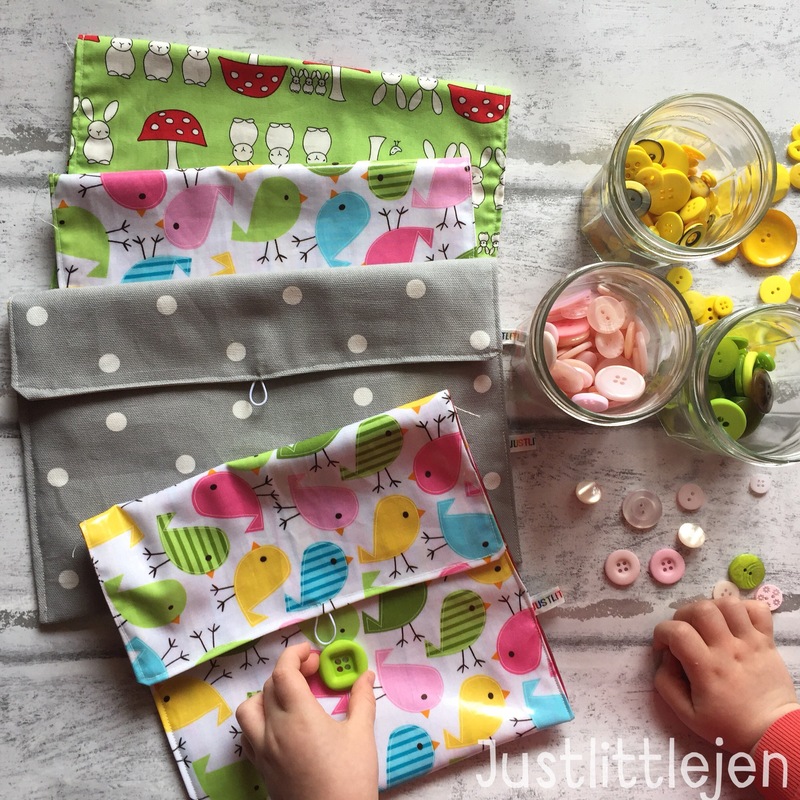 One of my favourite makes are my nappy bags. 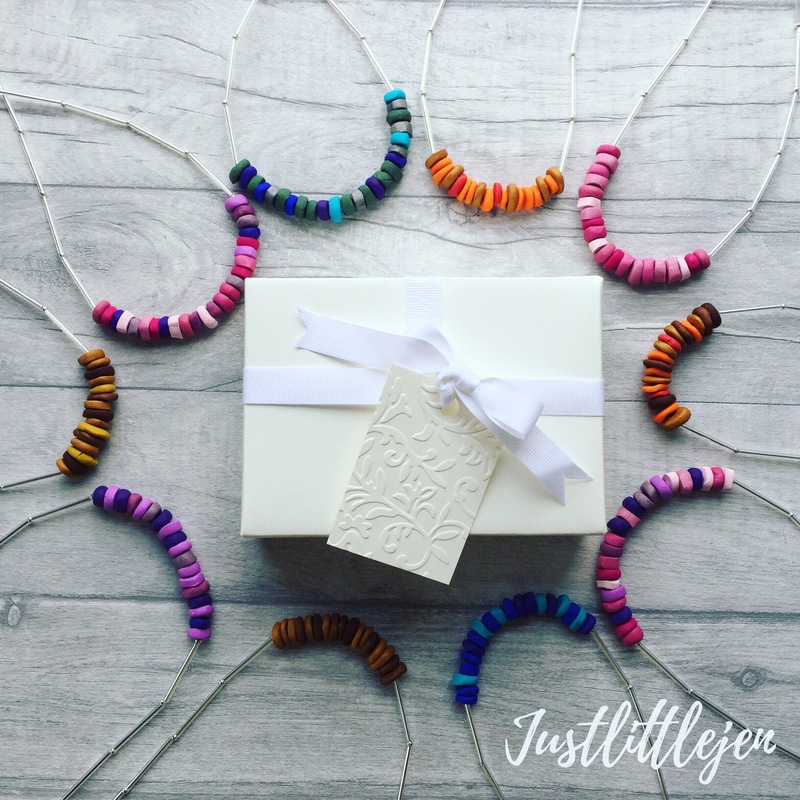 Each one is different and is Handmade with love, and I can honestly say, It has made life with a Toddler much easier for us as a family! I only choose fabrics that make me squeak with happiness and that I could see myself using. 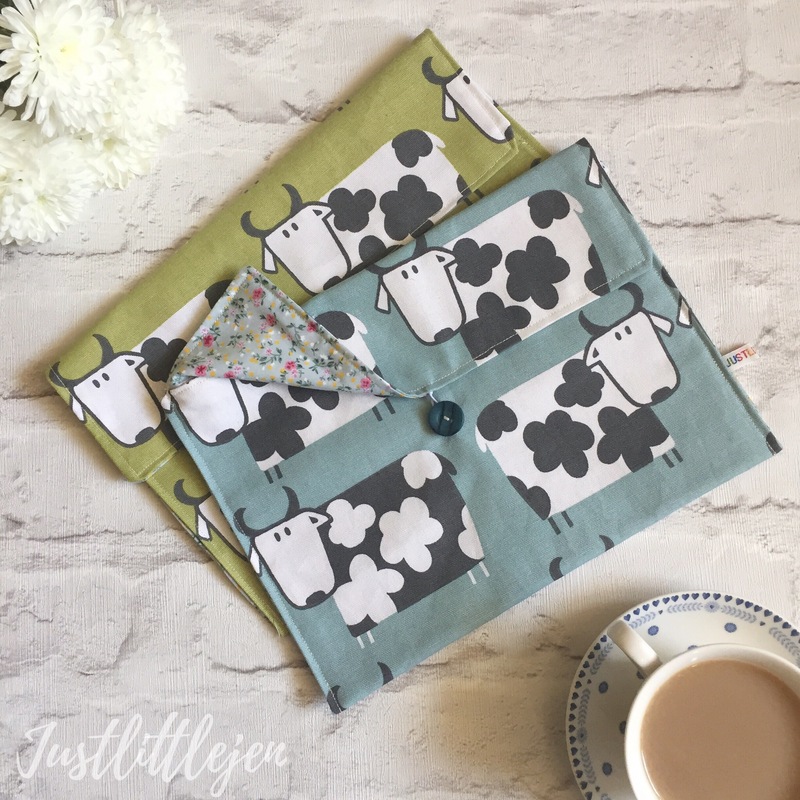 The idea for these little bags of happiness came to me after lugging a huge bag to cater to my gorgeous brand new baby boy’s every need. This inevitably meant that every trip to the bathroom meant carrying (what felt like) the kitchen sink! I made a few prototypes for us to use, big enough for larger nappies/pants and wipes. I then gave some to friends and family. Everyone was very happy with them and we couldn’t believe how much easier the toilet trips were! 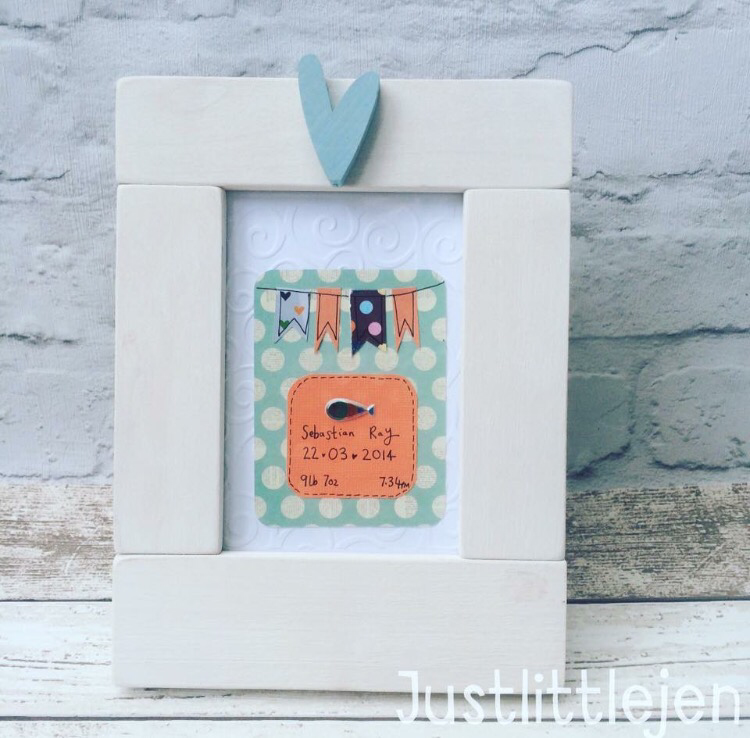 My tiny little Newborn boy is now a 3 year old string bean – something I cant quite believe! He has an active role in helping his mama with all things crafting. He just loves setting up things for Flatlays and he chooses EVERY single button that ends up on any of my nappy bags. 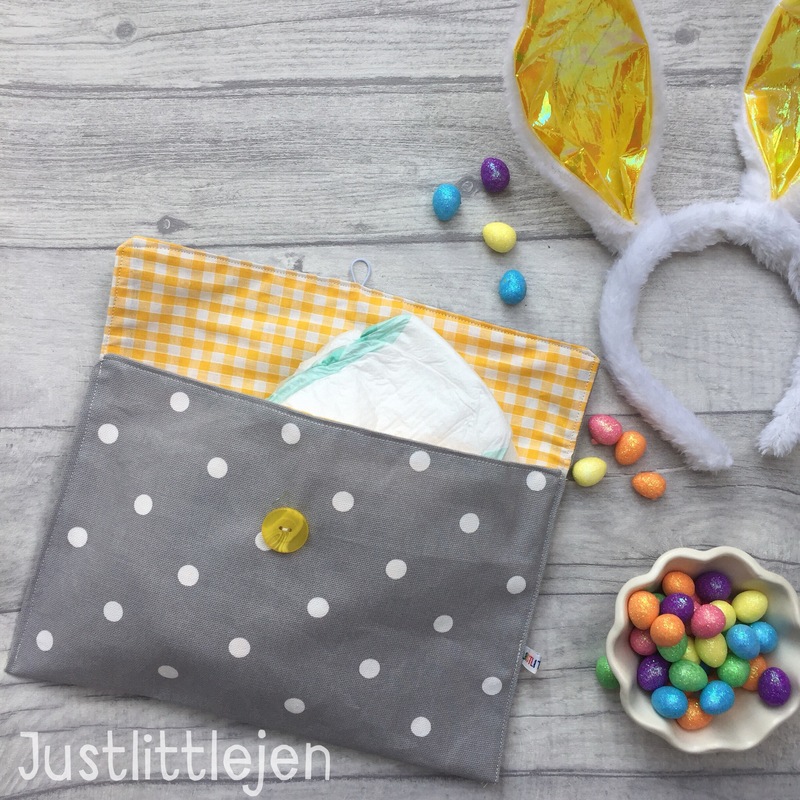 So if you are looking for a little Baby Shower, welcome to the world, or just something to make life as a new mama easier, I can fully recommend one of these bags. I am always adding them to my Etsy shop. And then we were back to it.... reality bites after a glorious two week break... Mornings can be a battlefield against the clock and smaller (more stubborn) versions of yourself ... I find myself starting off sweet like Mary Poppins and rapidly end up barking like Mr T! Routines are life. Anything that can encourage independence and self pride is a winner in my book. So I made one of these little job charts. It’s his “job” in the morning to make sure all of the pegs have been closed. So far last term🤞🏻 it had made our mornings a bit calmer.... not perfect, but I will take calmer and less nagging to start off our day together, happily. (They had a good reception at the craft fair so I have popped some in my Etsy) What helps you in the morning with little ones? I finally finished the @lottieandalbert CAL from earlier in the year! Whoop whoop! Here is the squishy cushion cover in situ. With three strands of @stylecraftyarns and an 8mm hook... it turned out just as I had hoped... especially in that early morning light. It feels like we are finally starting to turn a corner with the decorating/building work! . . Ps. I love this whale... his expression cracks me up - he has the sleep deprived/exhausted/exasperated look to perfection! . . . .
I’m noticing my favourite treat this time of year is starting to pop up on everyone’s Instagram feeds tonight! Mini eggs are a staple food group at the moment, right?! What is your snack of choice right now lovely ones? 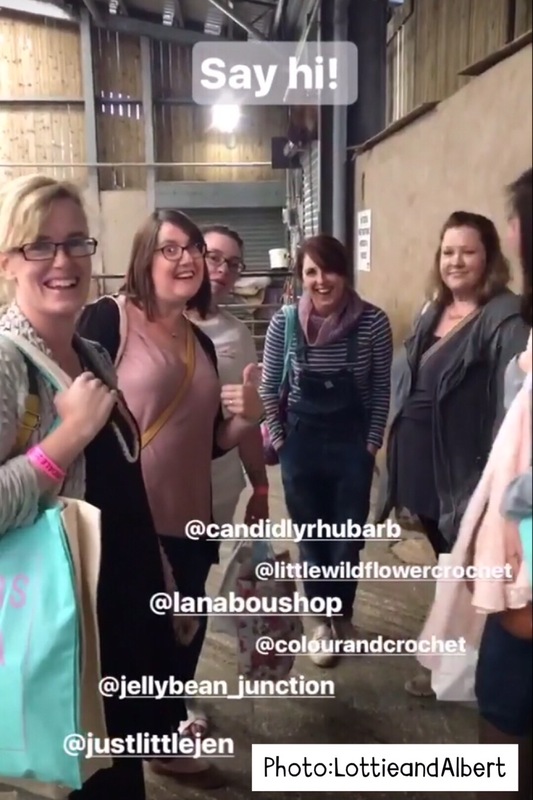 @candidlyrhubarb @hookonepurlone @jellybean_junction @lottieandalbert - no pressure and anyone can feel free to join in!